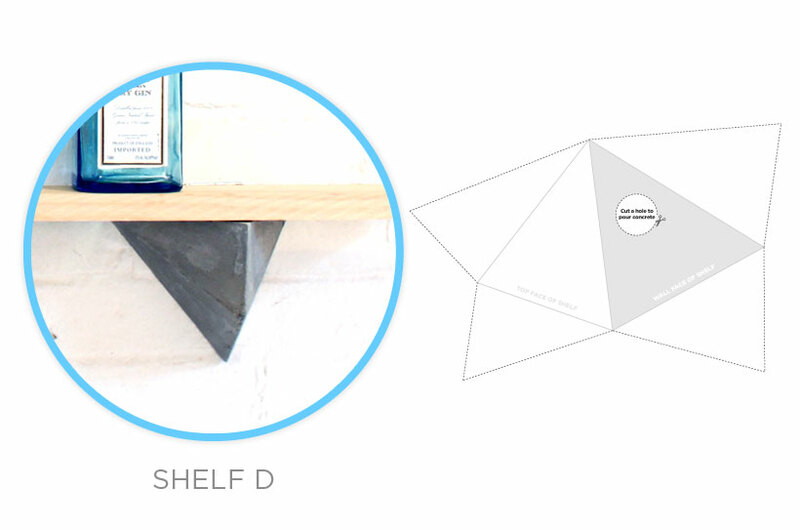 Faceted geometric forms are trending nowadays. 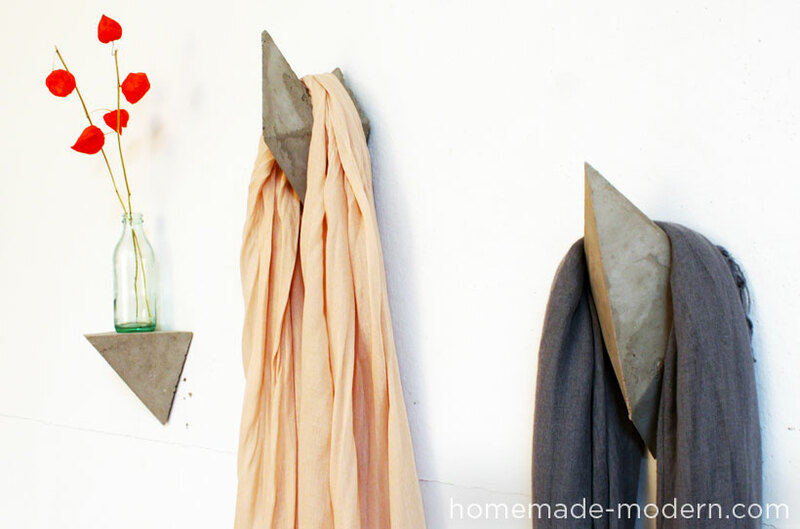 While the simple, colorful, paper shape DIYs that appear all over Pinterest are fun and easy to make, the results aren't lasting. 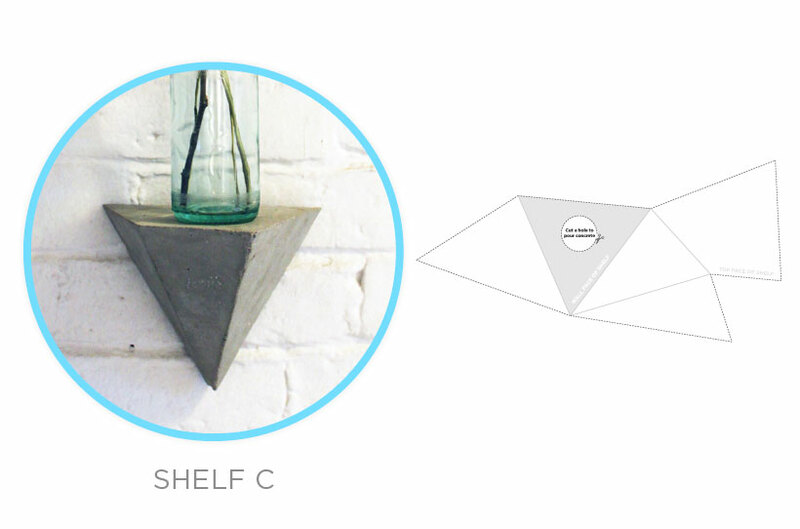 We wanted to create a series of free, downloadable templates that could be used as forms and/or molds to make more sustainable objects. 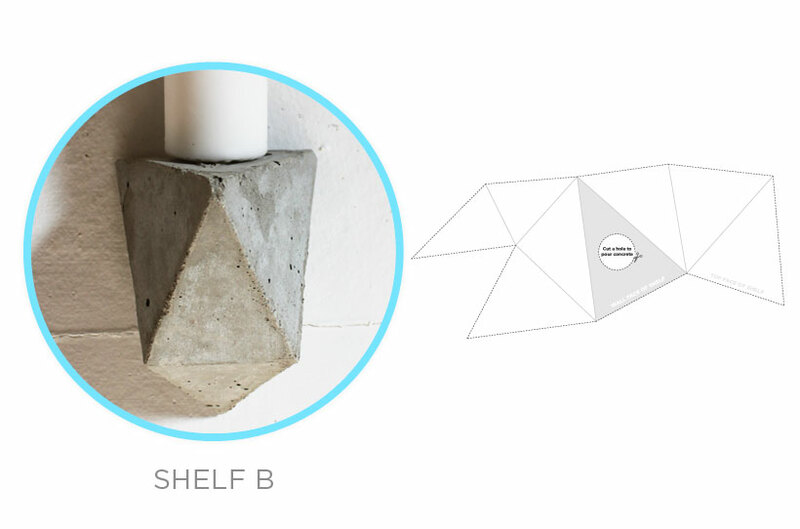 Download and print our FREE faceted geometric templates to create forms for concrete shelf brackets and coat hooks. 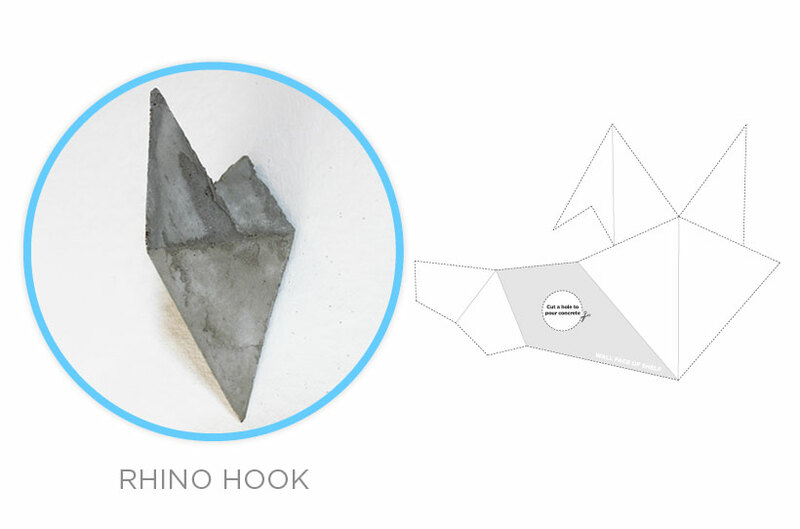 Thin cardboard packing like cereal boxes works well. 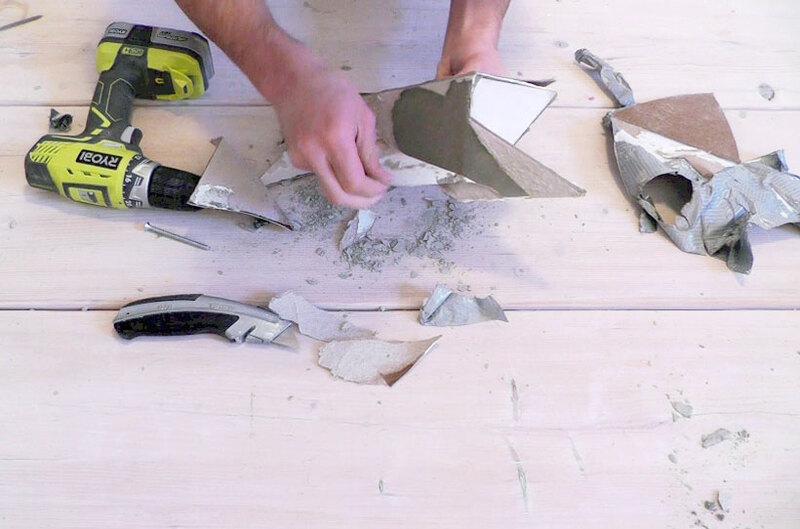 Chipboard is a thin coardboard sold in crafts stores that can also be used. 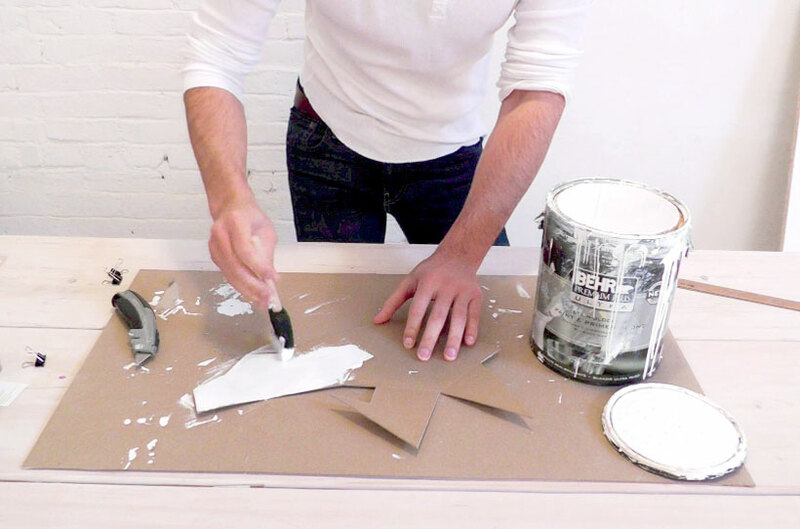 Standard house paint helps seal the mold. 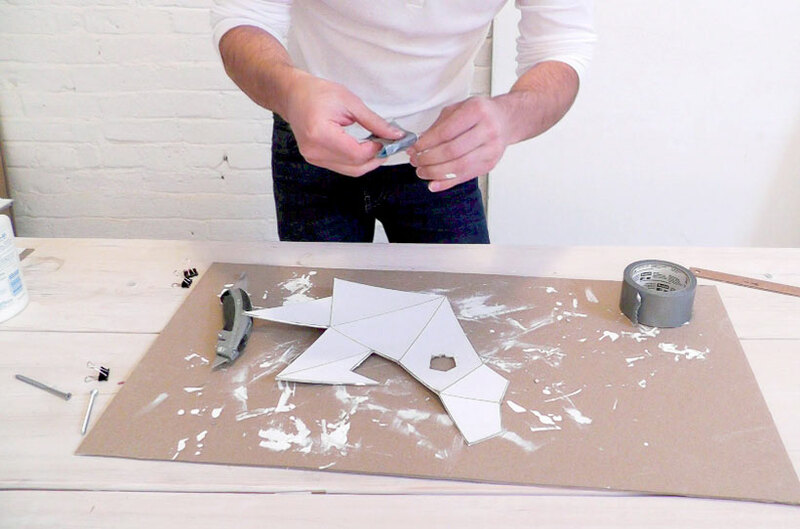 Download and print the templates on 11"x17" paper. 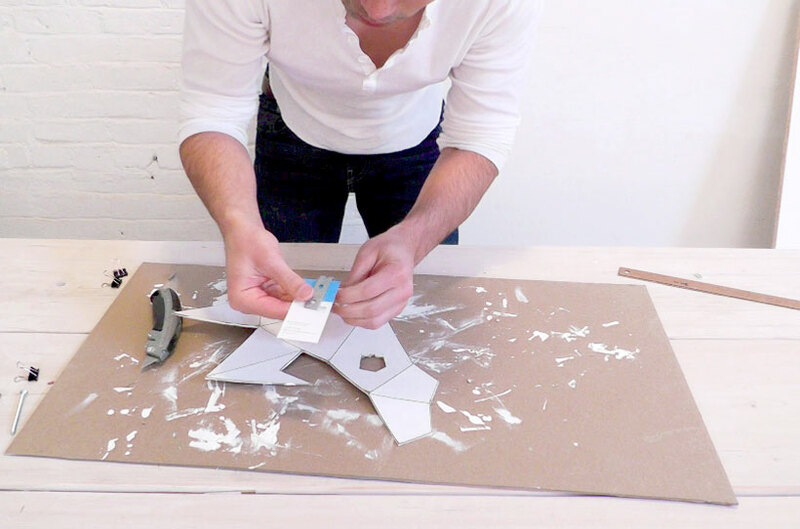 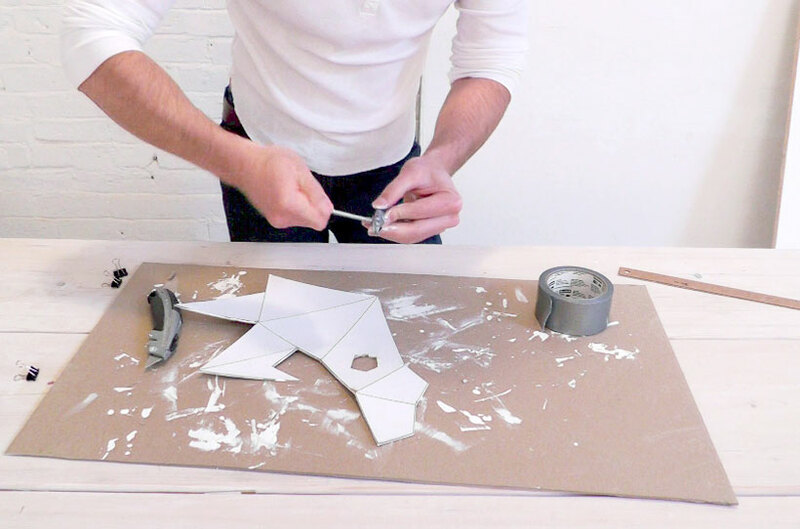 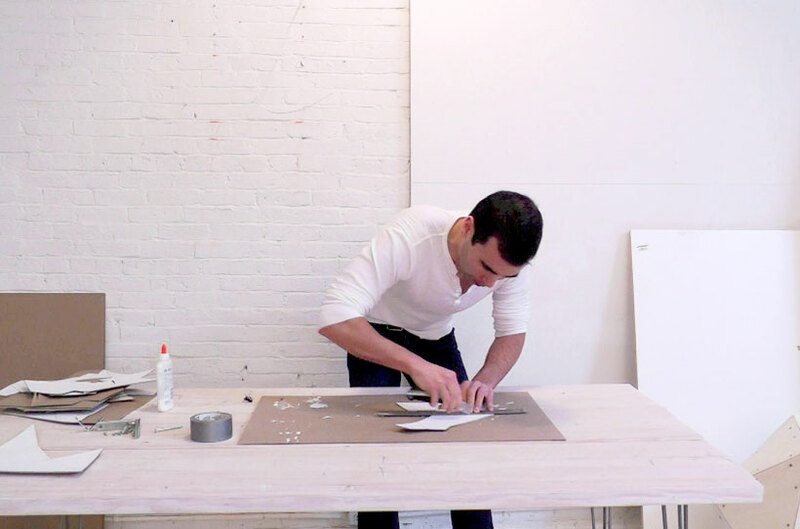 Use scissors or an Exacto knife to cut out the cardboard-backed templates. 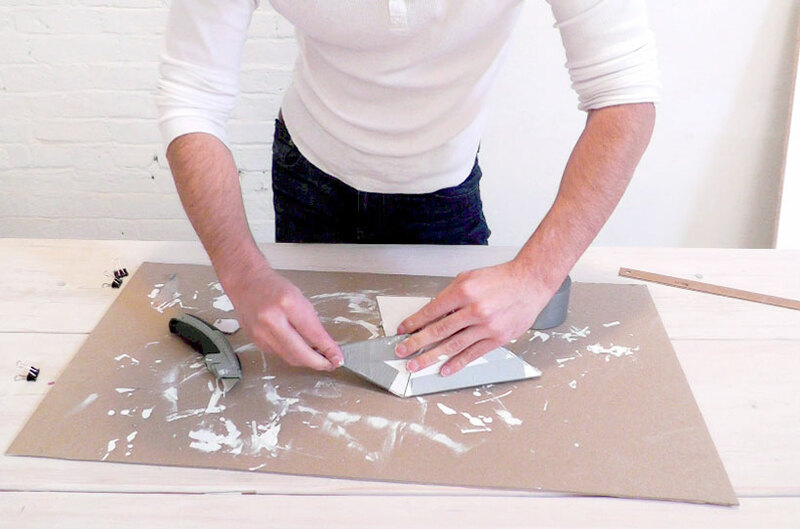 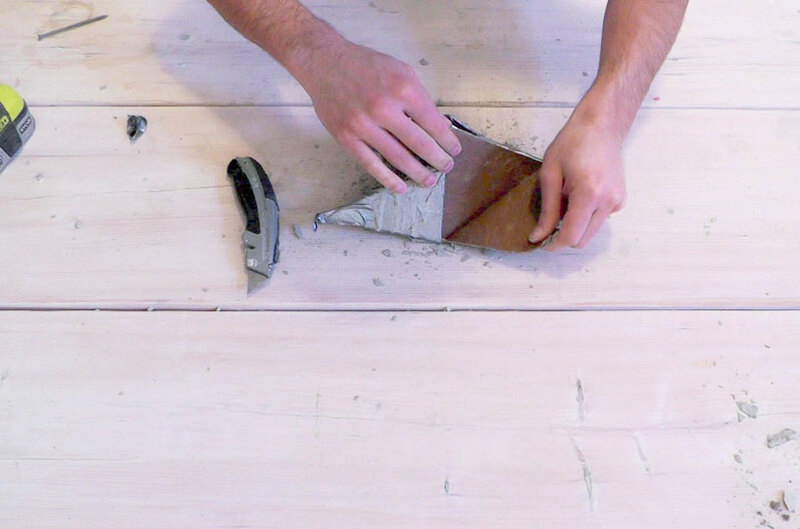 Use a metal ruler to help score the edges where you'll be folding the template. 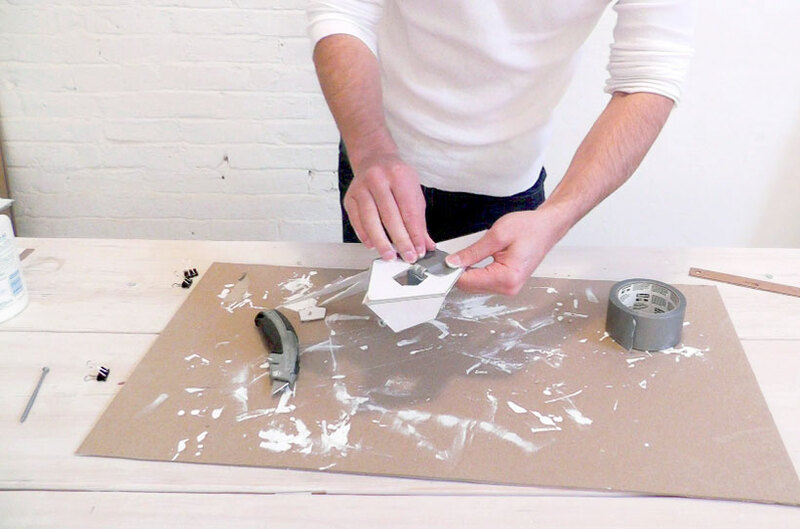 Brush a coat of house paint on the interior face of the mold. 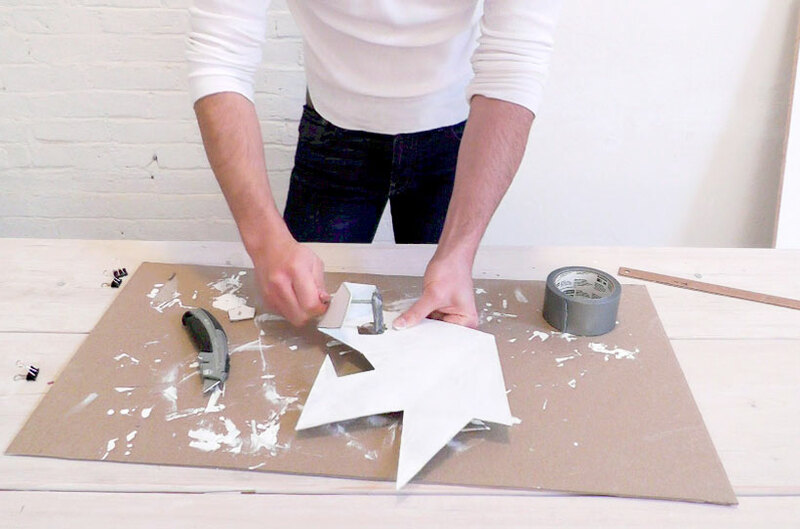 Wrap a business card around the L-bracket and tape it in-place to make a sheath. 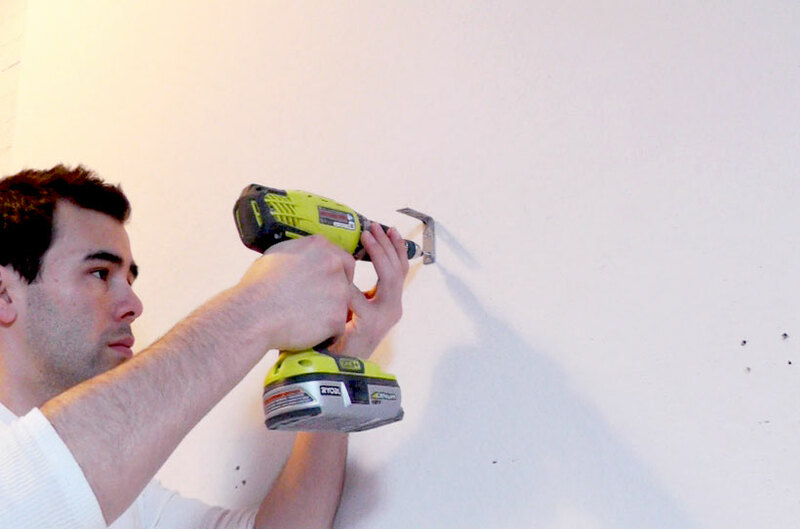 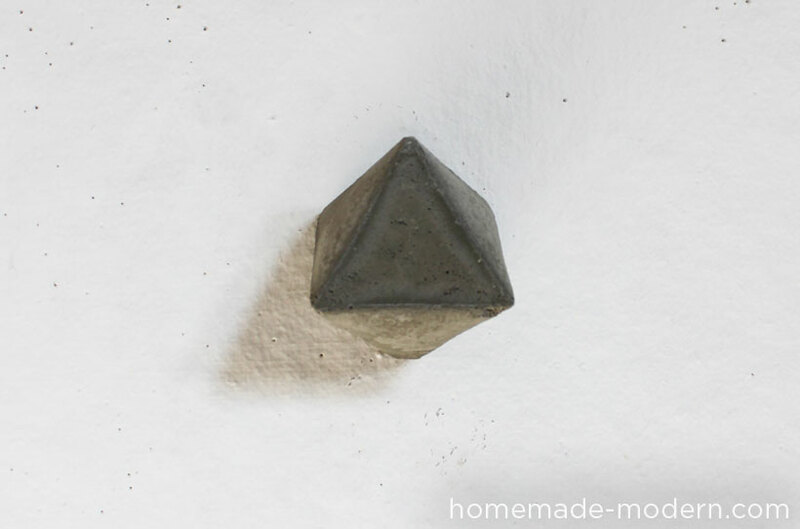 Use a screw to make a pin that will connect the concrete to the bracket. 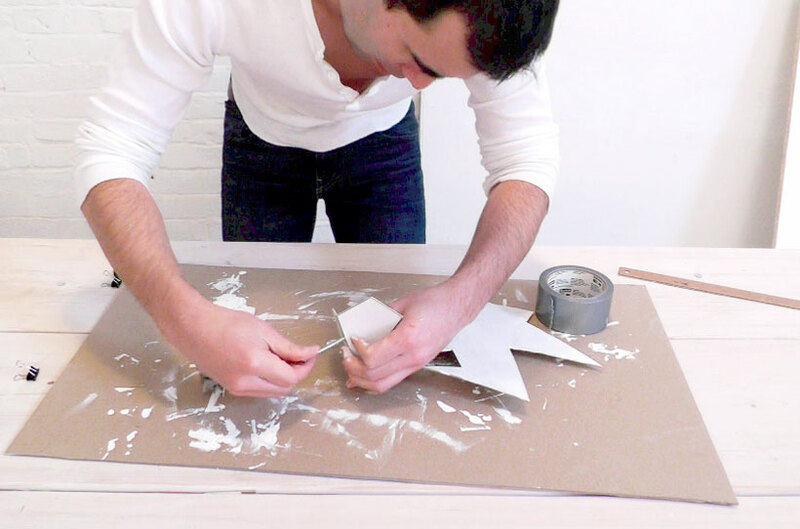 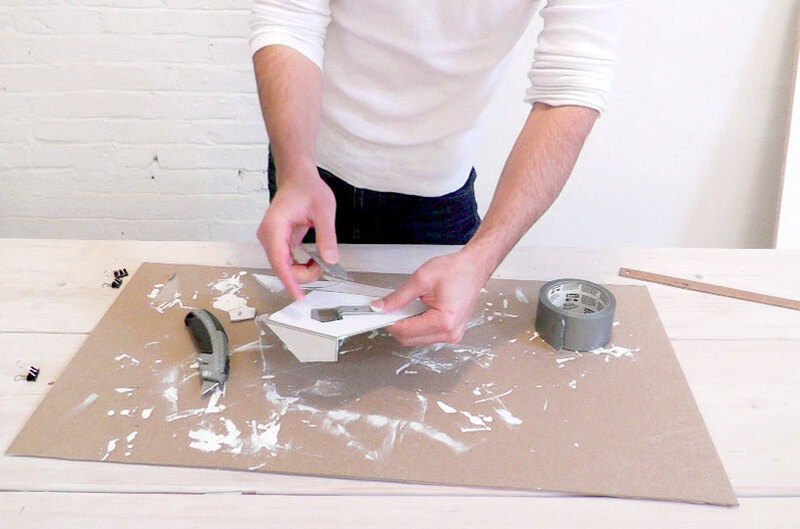 Fold and tape the mold using ducktape. 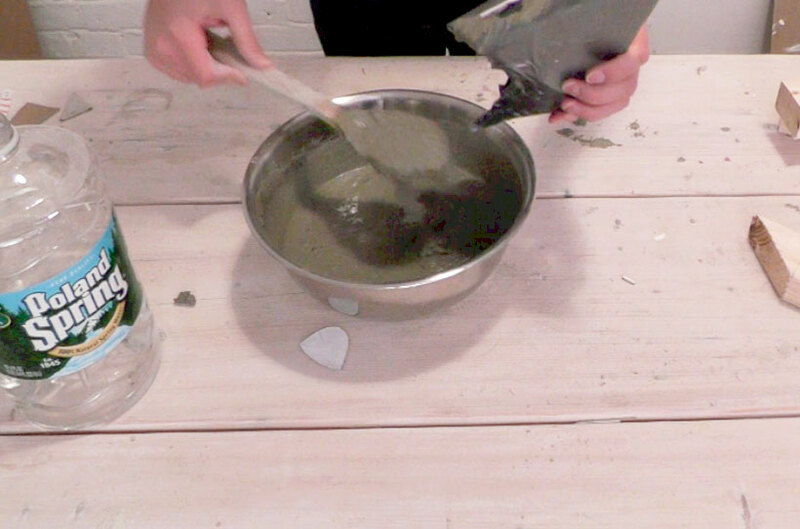 Unwrap the molds after about 20 hours. 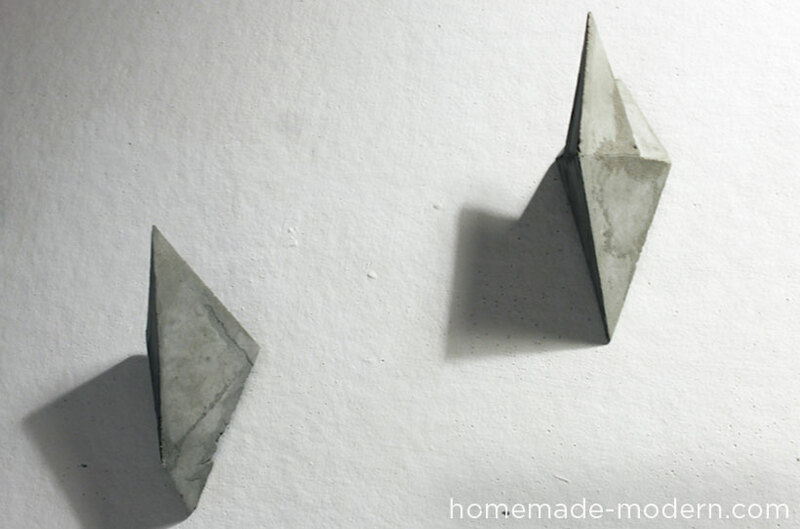 If you wait too long, the cardboard mold will start to stick to the concrete. 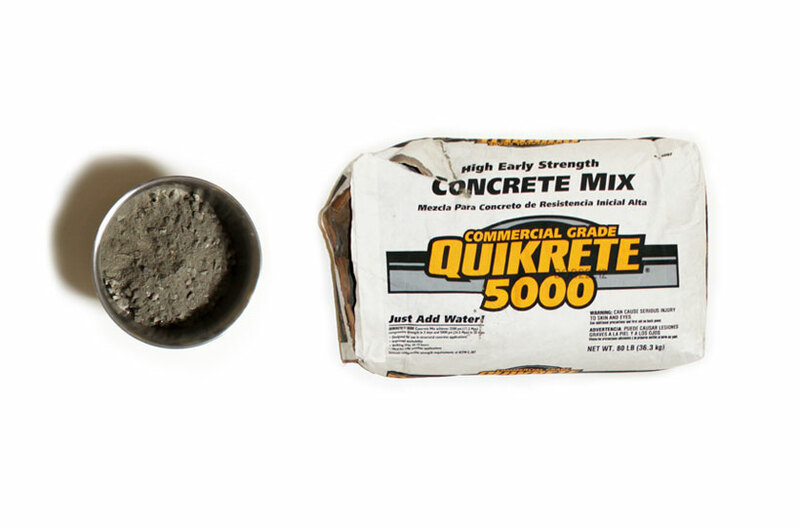 The concrete will still be fragile so handle the mold with care. 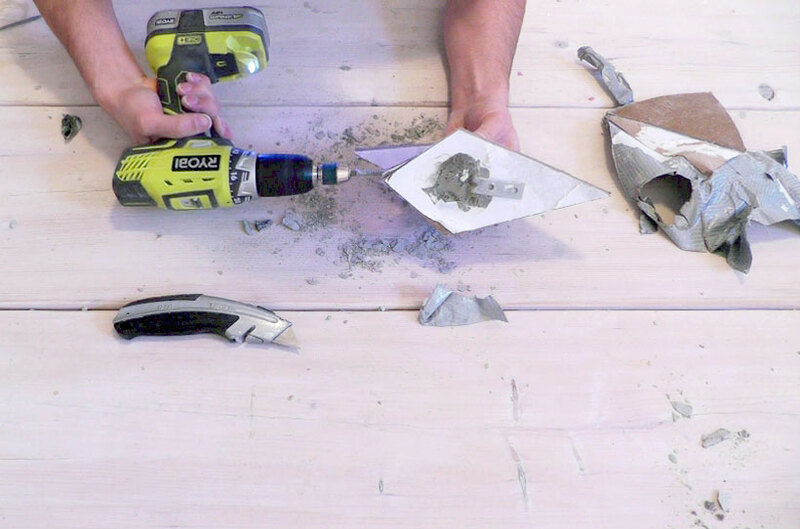 Mount the L-bracket, slide the concrete over and insert the screw. 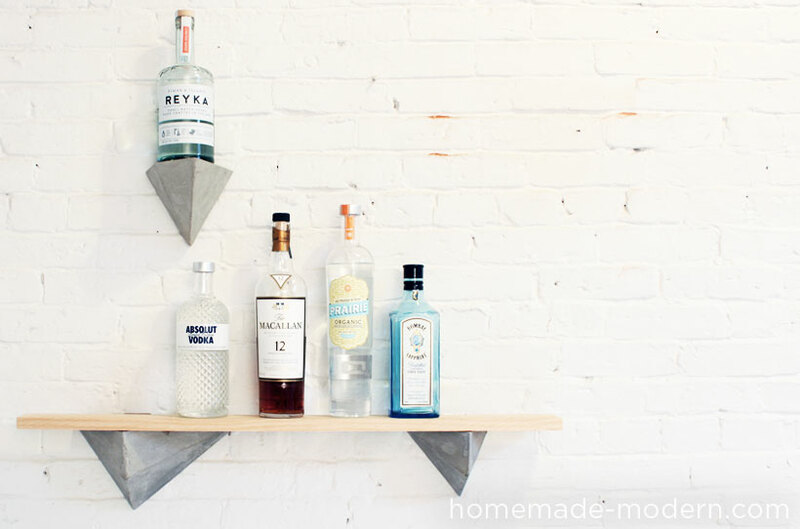 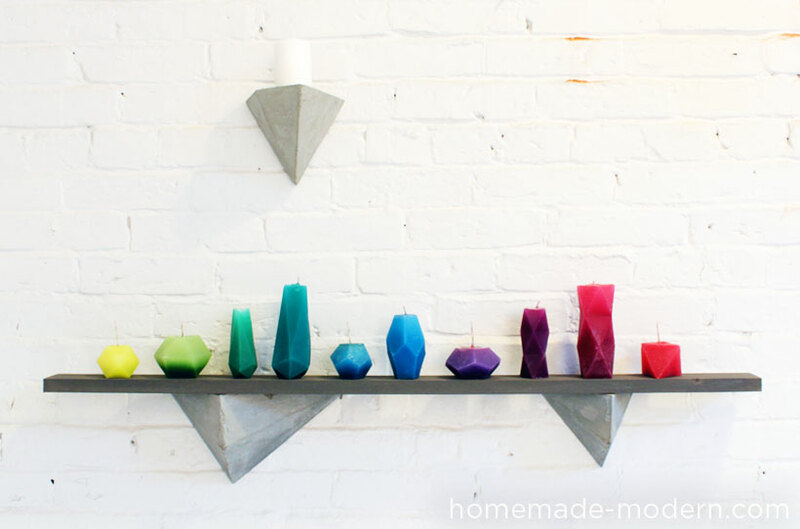 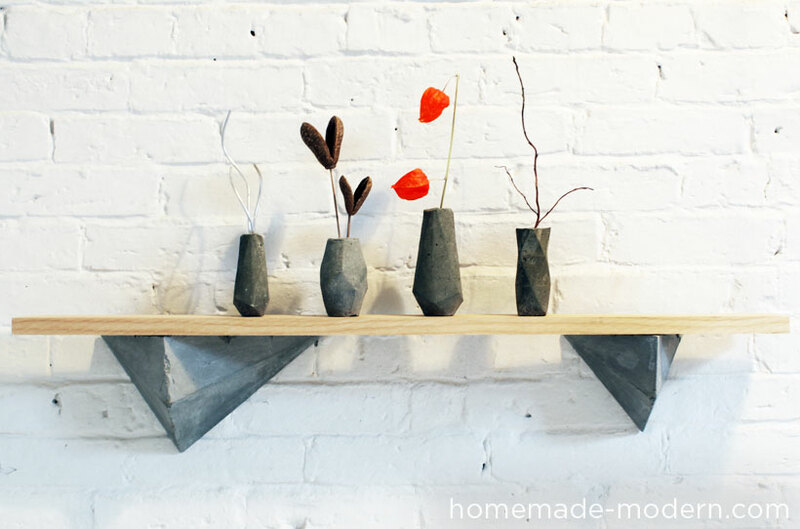 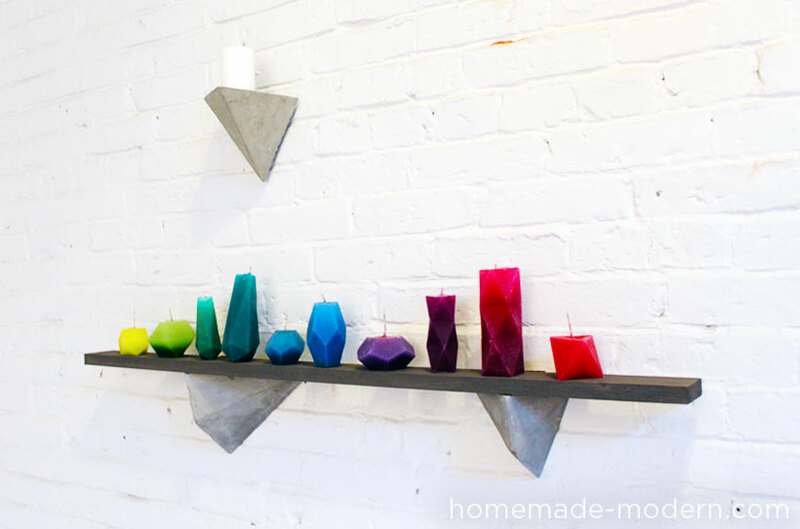 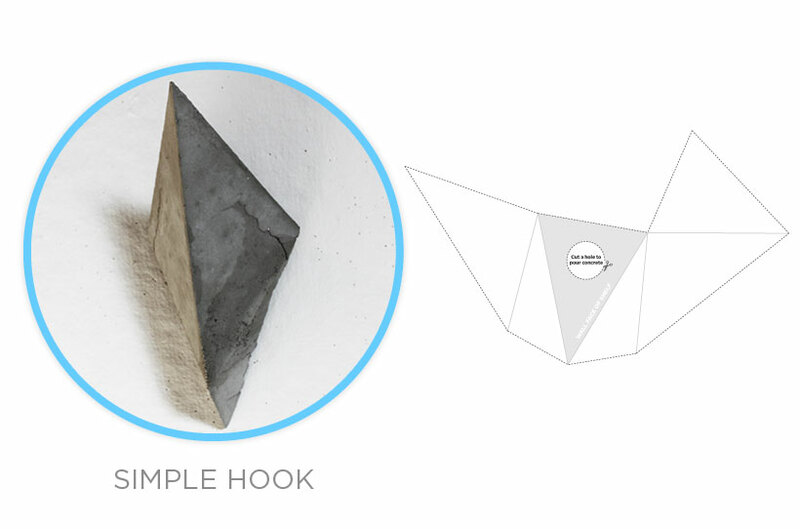 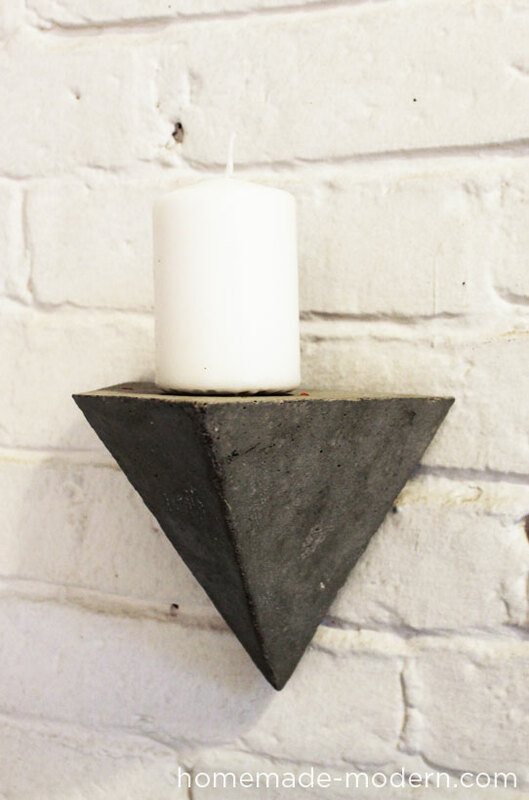 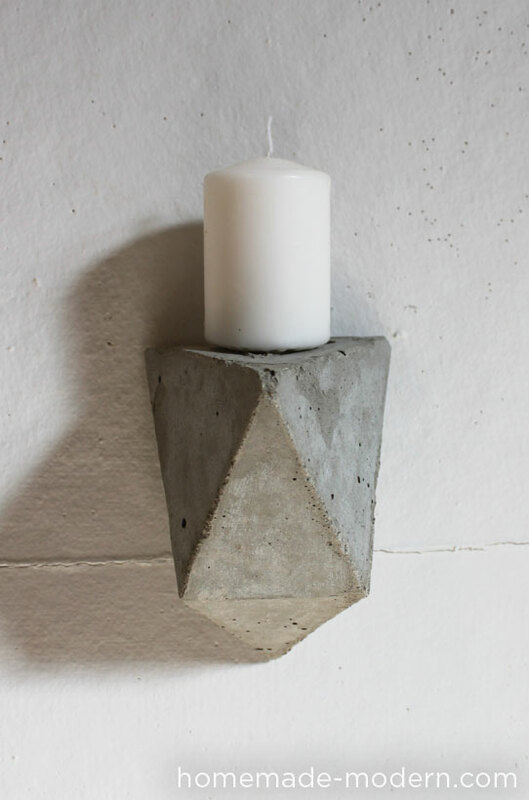 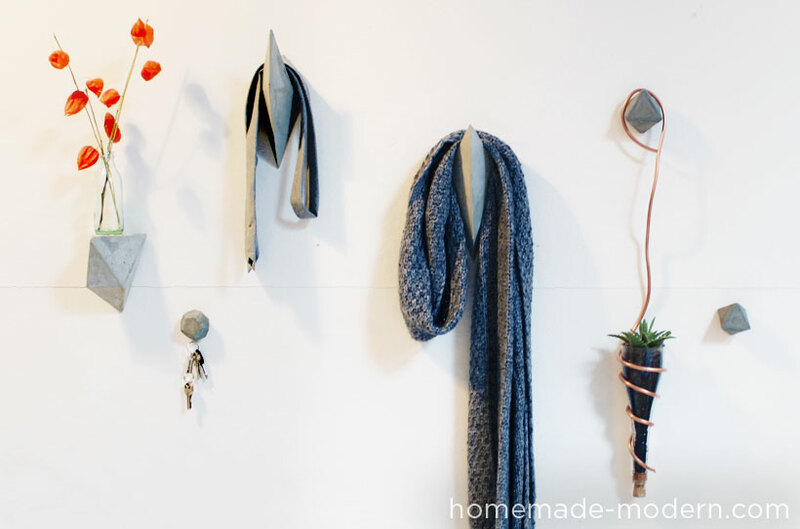 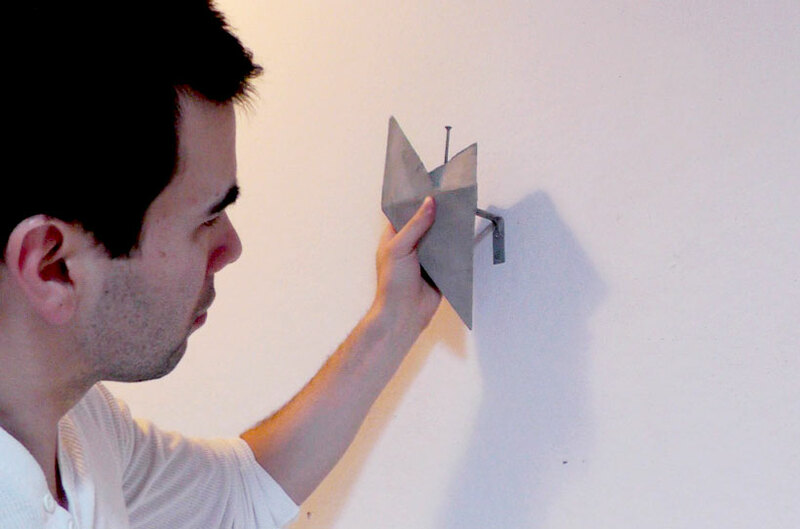 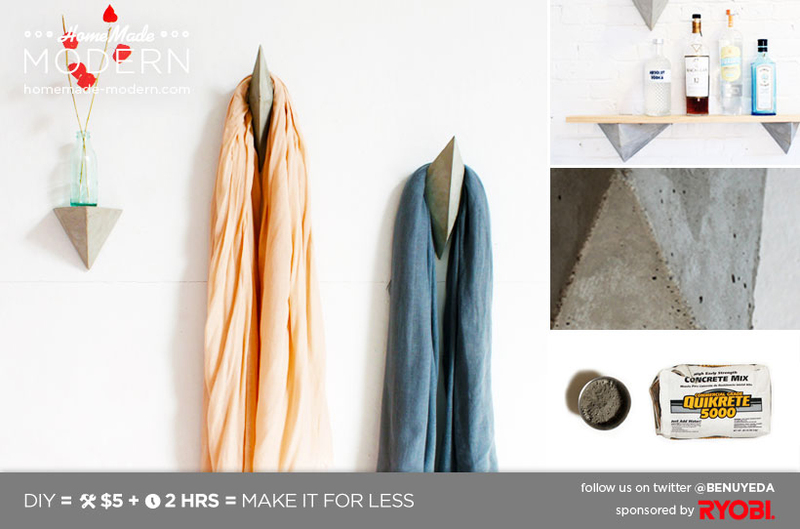 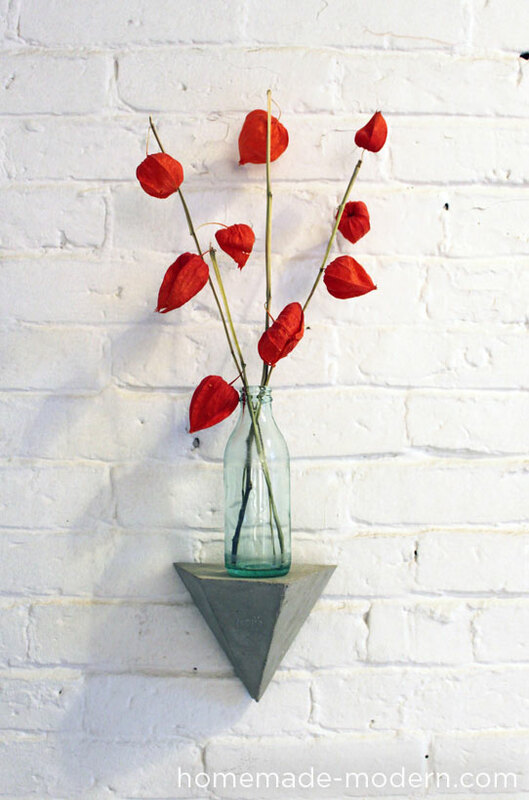 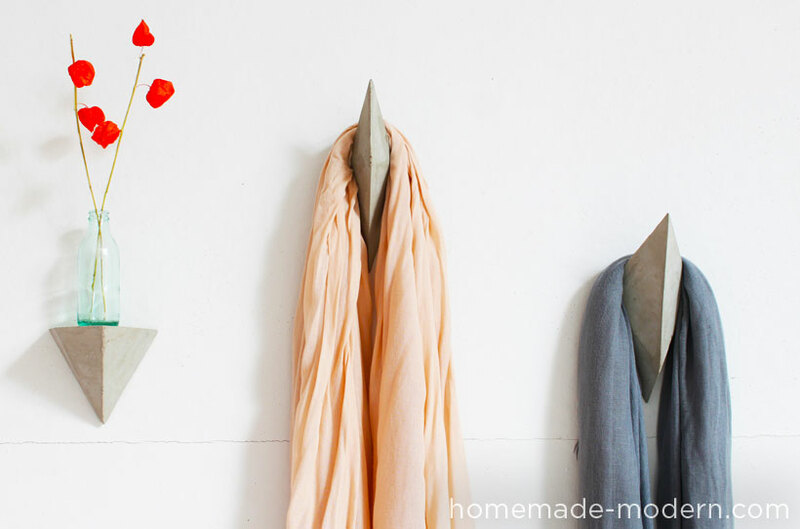 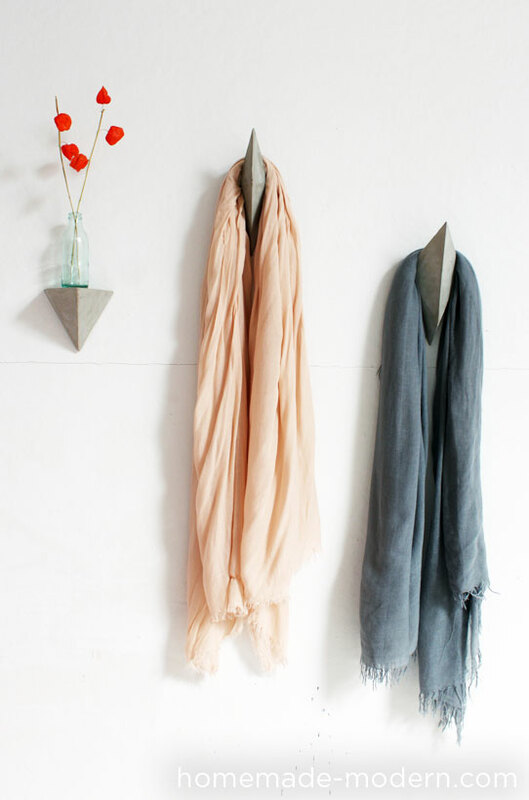 Good luck making your own faceted concrete hooks and shelf brackets, and please email or tweet photos to @benuyeda or ben@homemade-modern.com. 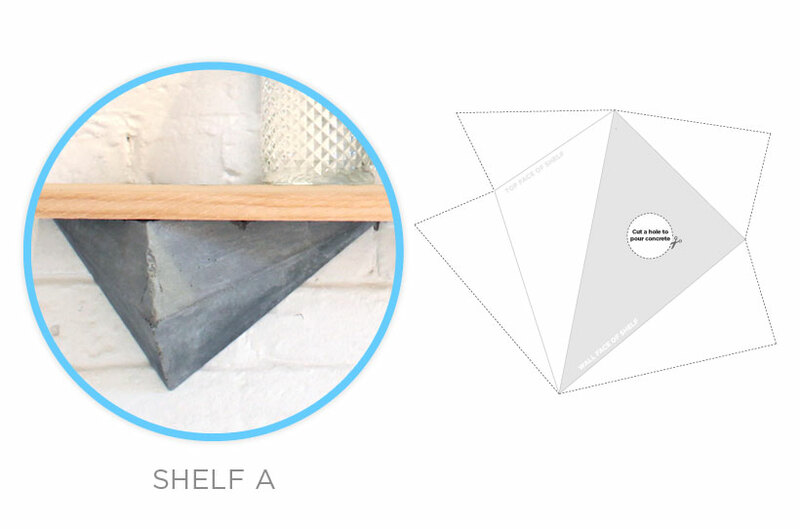 For more detailed instructions, dimensioned drawings and different variations of the project, check out our soon-to-be-released book.